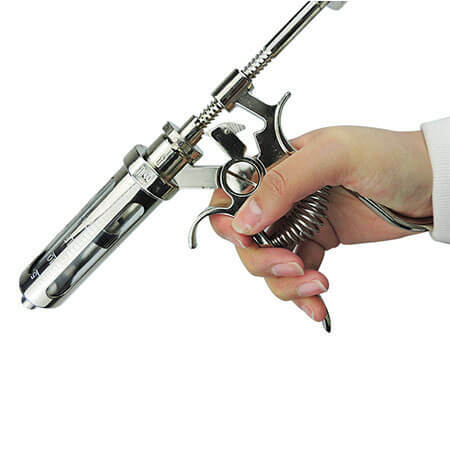 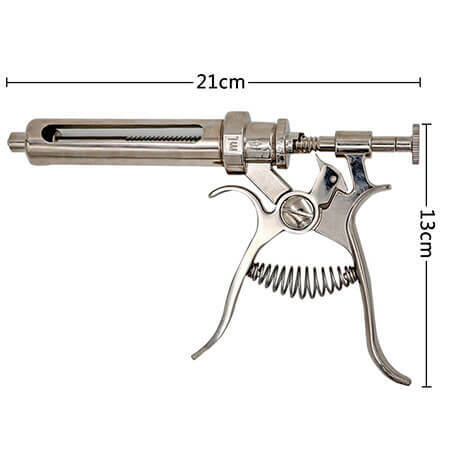 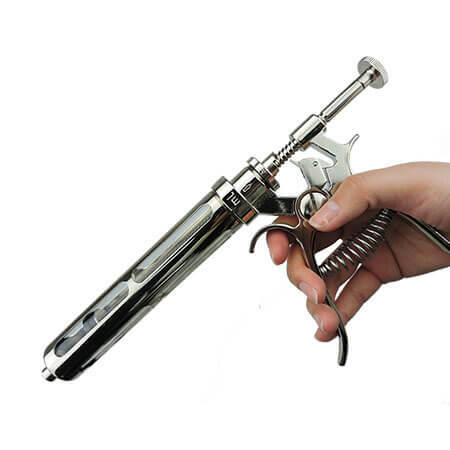 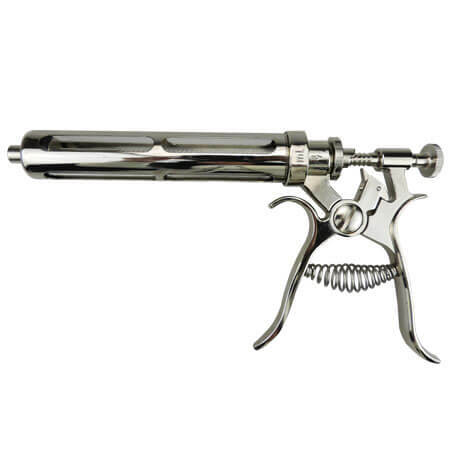 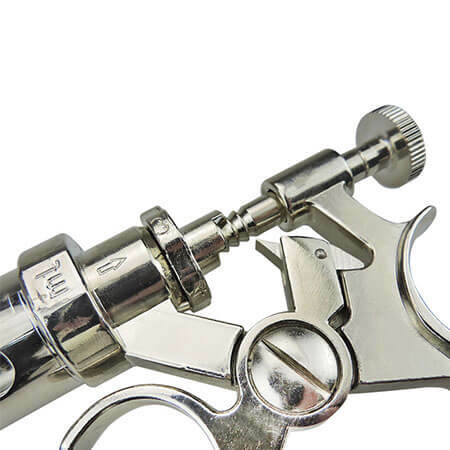 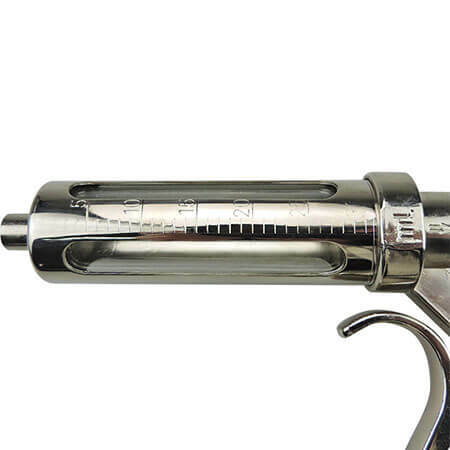 All metal parts in injector syringe are made of brass and stainless steel material, nickel or chrome plated; with calibration marks on glass barrel; perfect dose adjustment; suitable for the inoculation of livestock. 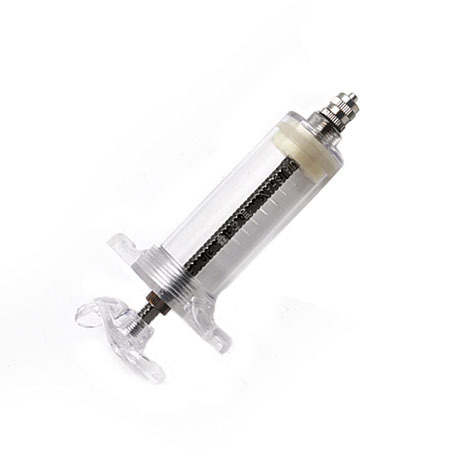 Clean well and oil with silicone oil , Regularly replace washers.Auto injectors are available 10ml、20ml、30ml、50ml in four sizes. 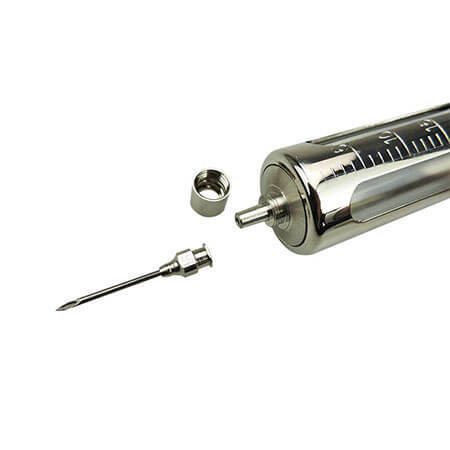 The automatic injector syringe has a wide range of applications, and can be used by pigs, cattle, horses and sheep. 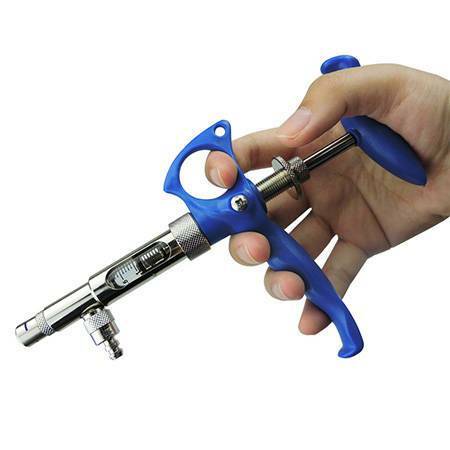 It is a veterinary medical device that is always in the farm. 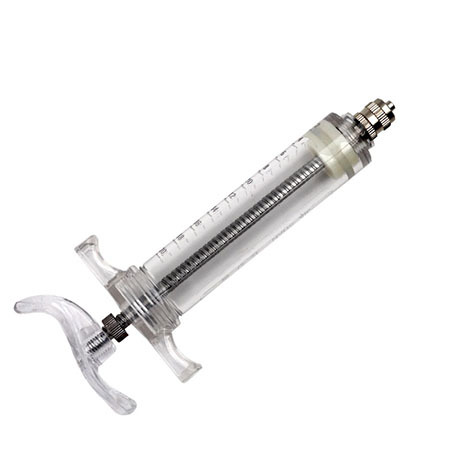 Built-in glass injection tube for autoinjector with black leather pad. 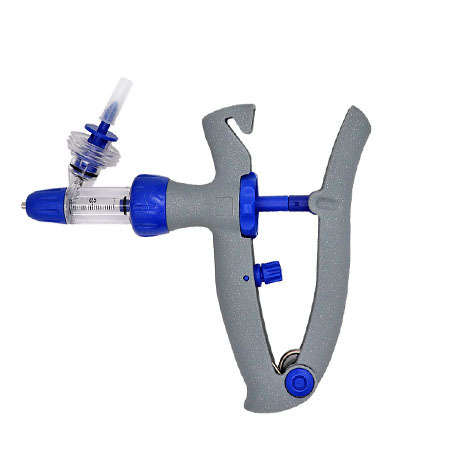 Auto injector syringe is strongest sucking and pumping power,robust accurate design and produce process,stable serving performance. 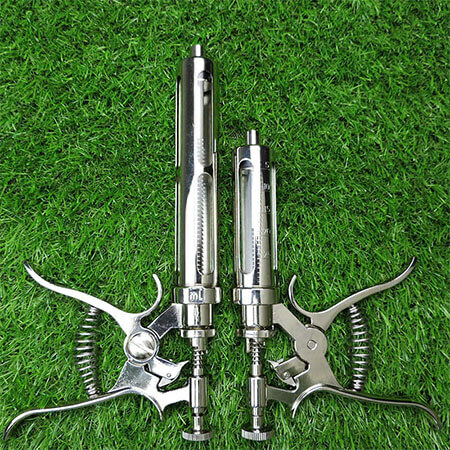 Excellent reposition spring and piston,save time for operation,smart practical withdraw labour-saving devices. 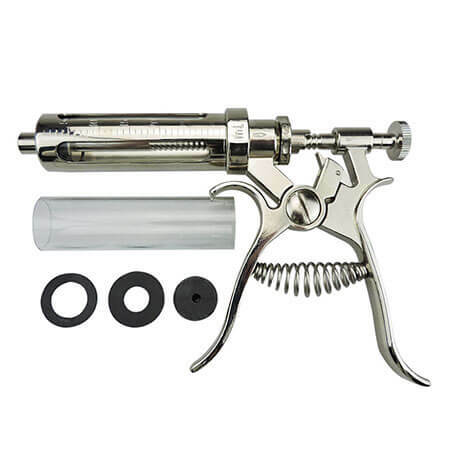 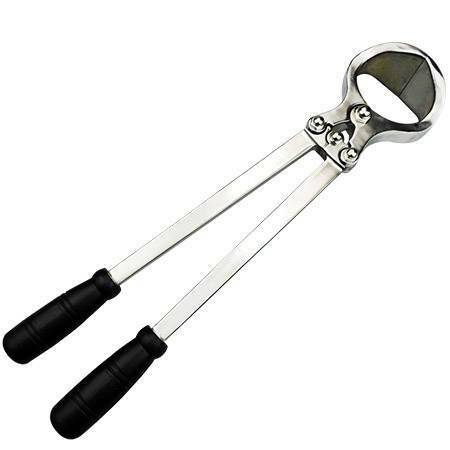 Solid materials including top quality brass component of the tools, durable service life. 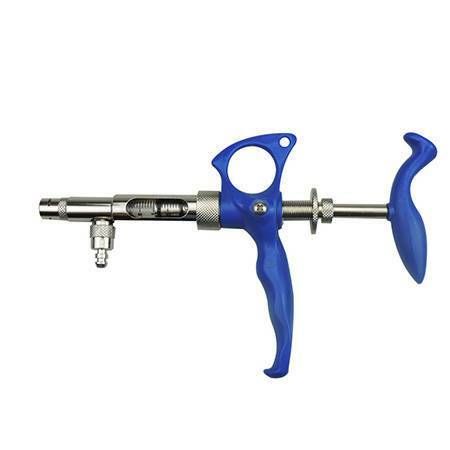 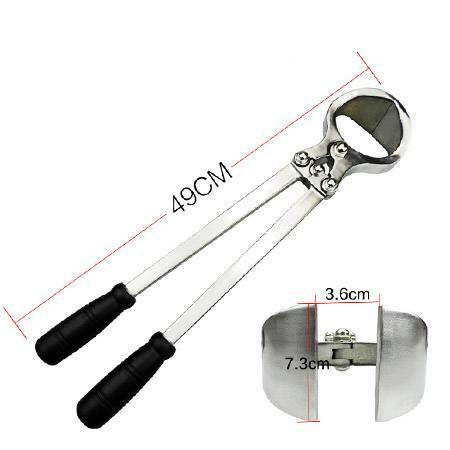 Easy for clean and maintain,fixed settings for ease and speed of using,endure high temperature and chemical-corrosion. 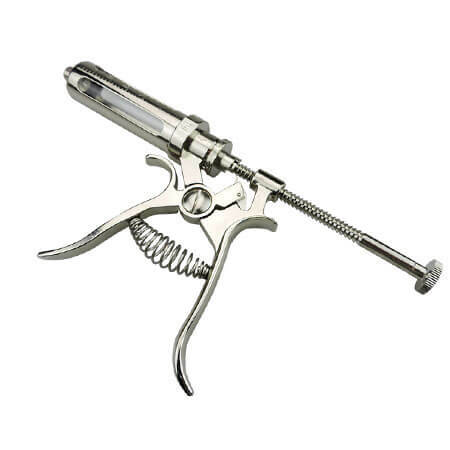 CNC Lathes controled production,outstanding sealing ensured pretty precise dosage control,resistant to medicine wasting and shattering. 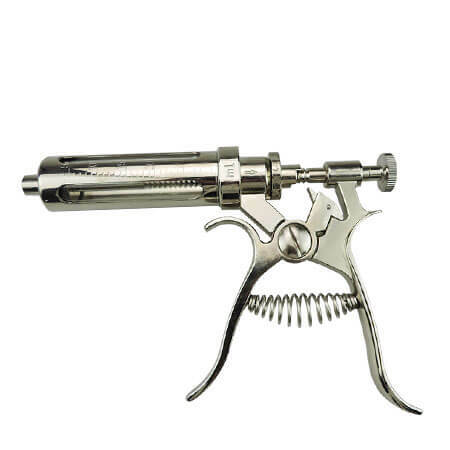 Adjustable dose control, repeat sucking when full capacity finished, Double insurance for fixed needle with the stationary metal bushing and lock. 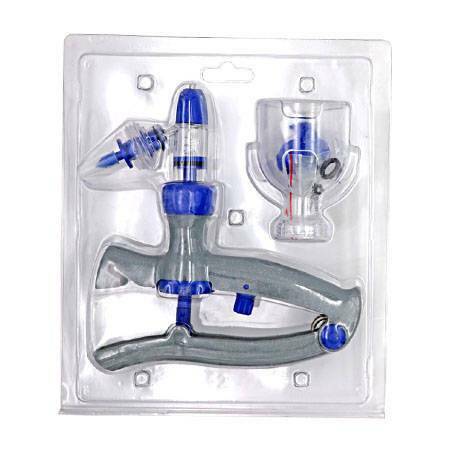 The company offters a variety of veterinary syringes, excellent quality and reasonable price, welcome to consult and order.